For fields such as ours where there is no recognized academic degree, certification is the only authoritative, independent measure available by which to determine a person’s experience, skill and knowledge as defined by our peers. Our courses are the only ones in Europe that lead to specialisation certificates in Planning and Managing European Funded Projects issued by one of the largest world-wide vocational award bodies, City and Guilds/ILM. European projects and EC grant applications will be more successful by certified grant developers and project managers rather than unqualified ones who may waste time and money producing unrealistic programs that do not meet expected goals.. 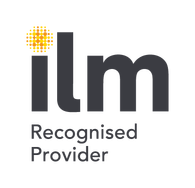 Therefore, Keyinnovations Ltd worked thoroughly on the certification and it has been approved by the ILM, part of City and Guilds group, one of the largest international vocational education awarding bodies, as an ILM Recognised Provider. This recognition is the result of the high quality of courses that the organisation offers through the FET™ (Funding Expert Transformation Formula) framework and offers the opportunity to all our training participants to get awarded a specialisation certificate issued by the ILM, part of City & Guilds Group. Such a specialisation certificate for you or the staff of your organisation is of paramount importance since it enhances your technical capacity. As a reminder, according to the new EC rules, grants now (for years 2014-2020) should be awarded only to organisations that have the documented technical capacity (e.g. formal experience, knowledge, resources) for implementing successfully such programmes. This certification will be a powerful tool for enhancing your technical capacity as an organisation to get involved in EU projects. Get fast track world-wide recognition for your achievements on improving your professional skills with professional membership and certification. All participants that have been trained by Nikolaos FLORATOS or have participated in the related training sessions initiated by him and endorsed by ILM are eligible to get a specialisation certificate issued by ILM part of City and Guilds Group one of the largest world-wide vocational award bodies with just an additional small fee (250 EUR). For more details, you can download our latest Learner and trainer handbook on Policies from here.